The prime accused in the lynching case of two men in Assam was arrested from Karbi Anglong district in the early hours today, a senior police officer said. GUWAHATI: In a major breakthrough, the police arrested the prime accused of Friday’s lynching of two young men from Guwahati in central Assam’s Karbi Anglong district by a mob. 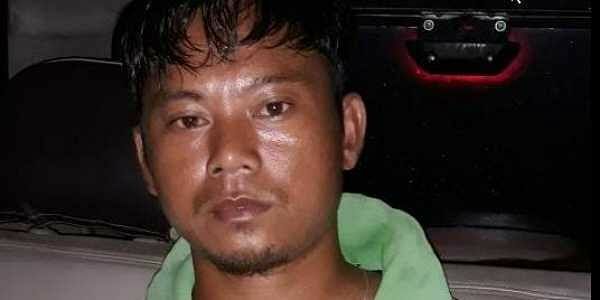 Alphajos Timung aka Alpha, who was on the run, was arrested from Bheloghat Beygaon in Karbi Anglong. With this, the total number of people arrested so far in connection with the incident has gone up to 28. “He was on the run ever since the incident and kept changing his location. We managed to trap him. A few more people will be arrested,” Karbi Anglong Superintendent of Police, GV Siva Prasad, told The New Indian Express. He said the police were interrogating the arrested persons in batches. On that fateful day, Timung had allegedly mobilised the mob by alerting it through phone calls saying that he had seen two child abductors fleeing the area in a car with a child. He is said to have a criminal past. Back in 2012, two youth were lynched by a mob in the district following rumours spread by him that they were members of an insurgent group. Two years later, a woman was killed by a mob on the suspicion that she practised witchcraft. Timung allegedly had his role in that incident too. It may be recalled two friends Nilotpal Das (29), a sound engineer, and Abhijit Nath (30), a businessman, were bludgeoned to death by a mob in Panjuri Kacharigaon, a tribal village, located some 200 km east of Guwahati, last week on the suspicion that they were child abductors. The slain duo had gone to the place on a day’s vacation to capture the sounds of nature. Both were nature lovers. The families of the victims demanded that the trial of the arrested persons be held in a fast-track court. They appealed to people to maintain communal harmony.